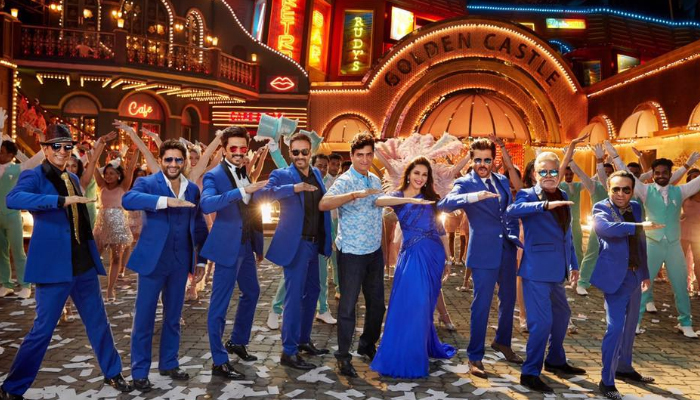 Last week released highly buzzed Total Dhamaal has completed the opening week on an excellent note and still has strong hold over the audience globally. The film stayed quite stable on its second Saturday despite the arrival of another film Luka Chuppi which has taken over a substantial count of screens. Directed by Indra Kumar, it is the third installment of his popular franchise Dhamaal. As expected the film is being liked by all the audience and received positive reviews from most of the critics. As a result it gained strong word of mouth and diverted major crowd toward itself. Due to high initial buzz, Total Dhamaal opened to a tremendous note and registered second highest opening of the year in Bollywood. By keeping the pace maintained, it raked the business of 62.40 crores total in the opening weekend, that included 16.50 crores of Friday, 20.40 crores of Saturday and 25.50 crores of Sunday from approximately 3700 screens across the country. Then in weekdays asusual superstar Ajay Devgn starrer witnessed some drop in footfalls but still remained excellent. It did the business of 9.85 crores on Monday, 8.75 crores on Tuesday, 7.05 crores on Wednesday and 6.50 crores on Thursday. After one week, total collection of the film was recorded as 94.55 crores at domestic box office. Now once again Total Dhamaal is in weekend and has no strong competitor in opposite. On 2nd Friday, it faced around 26.92% of drop than previous day and minted the amount of 4.75 crores. Then on Saturday, being weekend and due to positive word of mouth, Total Dhamaal showed big growth and added 7.02 crores to its account. With this, total 9 days collection of the movie has become 106.32 crores on domestic box office.